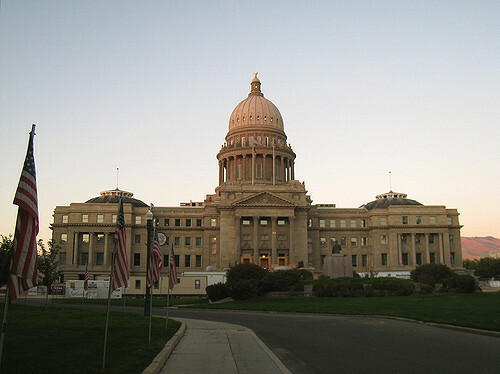 愛達荷州政廳(Idaho State Capitol Building)為於愛達荷州(Idaho)首府博伊西市(Boise)市中心, 標高208英呎, 占地二十萬英呎, 有五萬英呎多的大理石. 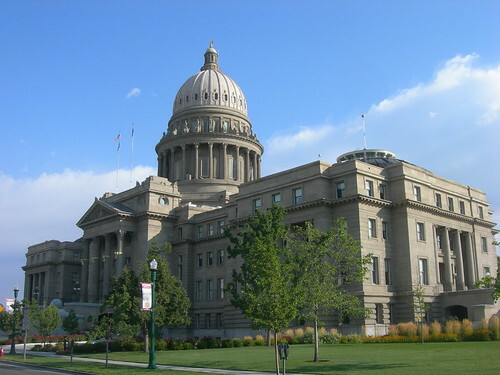 一樓地板上有個羅盤, 羅盤中心為愛達荷州(Idaho)發現的礦物質組成的日晷. 從一樓仰望可看到美麗的圓頂由13顆大星和43顆小星組成, 分別代表美國原始的13州和愛達荷州(Idaho)代表的美國第43州. 一樓還有一座愛國者的雕像. Session (approximately January - March): Monday - Friday 6:00 a.m. - 10:00 p.m.
Interim (approximately April - December): Monday - Friday, 6:00 a.m. - 6:00 p.m.
Saturday - Sunday and Holidays, 9:00 a.m. - 5:00 p.m.
Tuesday - Friday, 9:30 a.m. - 4:30 p.m.; Saturday 9:00 a.m. - 4:00 p.m.